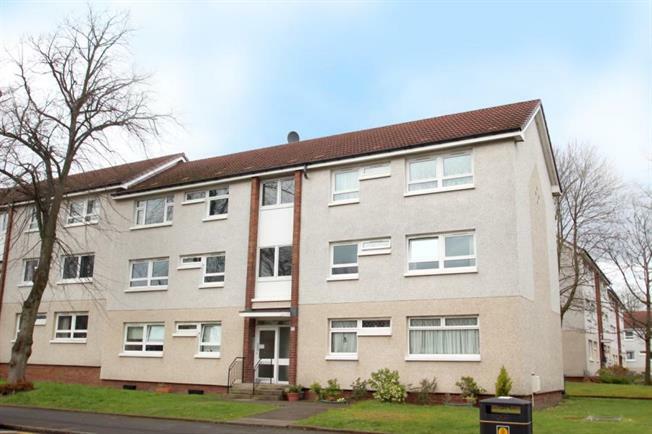 1 Bedroom Upper Floor Flat For Sale in Glasgow for Offers Over £70,000. This bright one bedroom first floor flat is located within the heart of Pollokshields with excellent transport links to Glasgow City Centre and the surrounding areas and will surely appeal to a broad sector of the market to included first time buyers and downsizers alike. Access to the property consists of a secured entry phone system which in turn leads to a communal stairwell giving access to the first floor apartment. Internally, the property has fresh decor, and offers walk in accommodation which comprises of a reception hallway with good storage cupboards, front facing lounge with access to a fitted kitchen benefiting from a range of base & wall mounted units, double sized bedroom and completing the accommodation is a three piece bathroom. The property benefits from double Glazing, gas central heating, and communal garden to front and rear. Pollokshields offers a superb variety of amenities including restaurants and bars with recreational facilities further complementing the area. There are transport facilities which include bus and rail and subway links providing access to Glasgow City Centre and surrounding area. Motorway access is also located close by.